Disclaimer: LawSkills provides training for the legal industry and does not provide legal advice to members of the public. For help or guidance please seek the services of a qualified practitioner. In 2016/17 £4.8 billion was raised from the 29,000 estates (1 in 20 of all deaths) that paid inheritance tax (IHT). Since the start of the millennium there was a steady growth in the receipts from IHT and the numbers of estates liable to pay it, strongly linked with the growth in house prices. This was only checked in 2007 by the Labour Government through then Chancellor, Alistair Darling, introducing the transferable Nil Rate Band for spouses and civil partners combined with the onset of the recession and the associated slump in house prices. At the time the then Shadow Chancellor, George Osborne, objected to the increased complexity of IHT legislation and announced at his party conference that a Conservative Government would increase the Nil Rate Band to £1 million. When the Conservative-Liberal Democrat Coalition Government came to power in 2010 reform of IHT failed to materialise; over the five-year Parliament IHT was left largely unchanged by now Chancellor George Osborne, with the Nil Rate Band frozen at £325,000. Over this period annual IHT receipts slowly grew, with the recovery in the economy and growth in house prices. The Conservative Party manifesto for the 2015 General Election proposed an effective IHT threshold for married couples and civil partners of £1 million. Once elected, a cunning sleight of hand by George Osborne (freed of the shackles of the Liberal Democrats) introduced an additional Nil Rate Band from April 2017 that would apply on transfers on death of a main residence to direct descendants. The new Residence Nil Rate Band, initially set at £100,000 but would be worth £175,000 per person by 2020/21. At the same time the existing Nil Rate Band was frozen at £325,000 until 2020/21. This combination contrives to give qualifying couples in certain circumstances a combined threshold of £1 million free of IHT by 2020/21. Subscribe now for monthly insightful feedback on key issues. All for only £98 + VAT per year. The new Residence Nil Rate Band was introduced in the Finance (No.2) Act 2015 and Finance Act 2016. 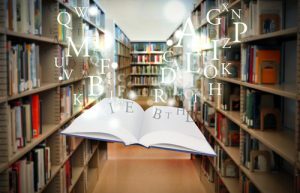 The Treasury Select Committee raised concerns about the complexities of the new legislation, however the desire to fulfil a manifesto pledge outweighed the practicalities of introducing a sensible legislation to implement the commitment. Practitioners familiar with the legislation will attest how impenetrable and convoluted the wording is and how complex the guidance provided by HM Revenue & Customs. Step forward Gill Steel and this new work that focuses specifically on the new Residence Nil Rate Band. Gill takes practitioners through the background to the introduction of the legislation and then provides readers with clear explanations of the legislation with worked practical examples. There is clear guidance on how to draft wills to take advantage of the new legislation and also a section pointing out the traps to avoid in administering estates. 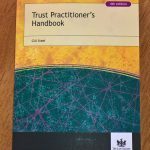 These alone make this book a “must read” for all practitioner to enable them to understand this legislation and to practically apply it for the benefit of clients. Whilst redundant Chancellors are consigned to the history books, the legacy they leave remain on the statute books; leaving practitioners to toil at the impenetrable absurdity of the legislation they created. In January 2018 the Chancellor, Philip Hammond, commissioned the Office of Tax Simplification to carry out a review of the IHT regime left to him by his predecessors. We live in hope that the legislation will be amended but until IHT is reformed this book will be the essential work for all practitioners on Residence Nil Rate Bands.